Hurricane Harvey is battering the Texas Coast with high wind speeds and torrential rains, and communities are bracing for more storm impacts throughout the weekend. The storm made landfall as a Category 4 hurricane Friday night, but has since been downgraded to Category 1. 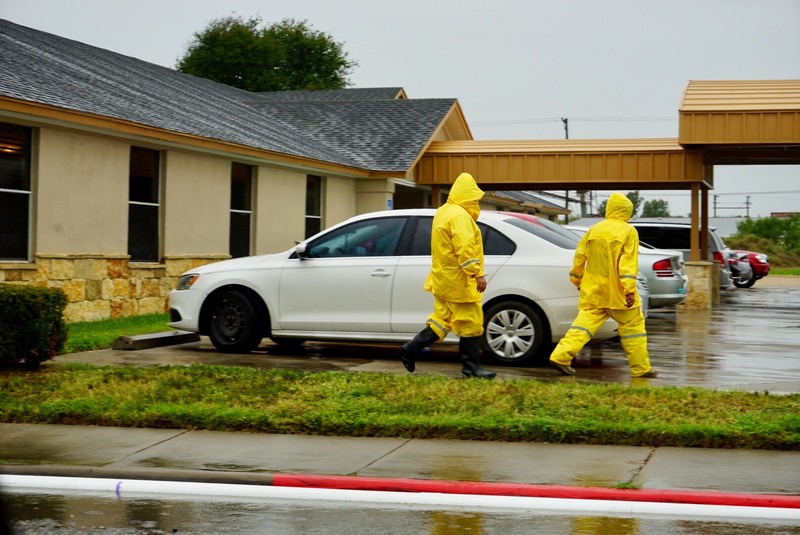 The slow-moving storm is expected to stall over parts of Texas, dumping up to 40 inches of rain over the next several days, according to the National Weather Service. On Friday, Direct Relief shipped an Emergency Health Kit full of enough supplies to treat 100 patients for 3 to 5 days. 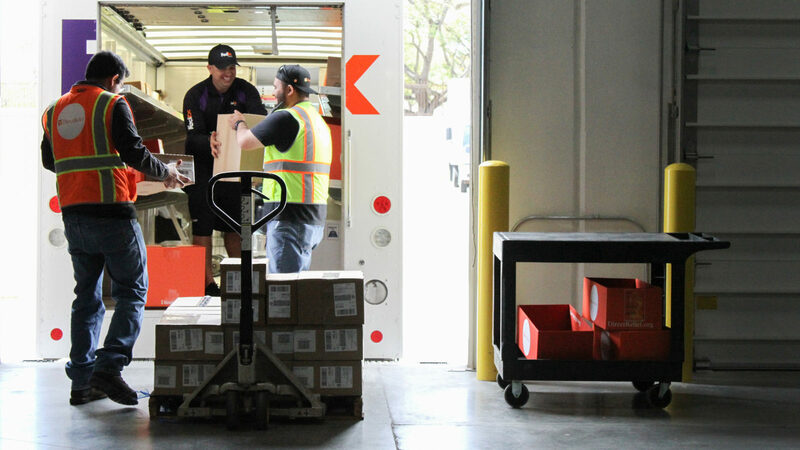 The kit was requested by the Galveston County Health Clinic and contains critical medicines, like those needed to manage high blood pressure, asthma and other chronic conditions. Created as a sort of mobile pharmacy, the kit is built to be distributed to people impacted by natural disasters. By equipping healthcare providers with medicines and supplies, patients can be kept out of the hospital and care for in a clinic setting. 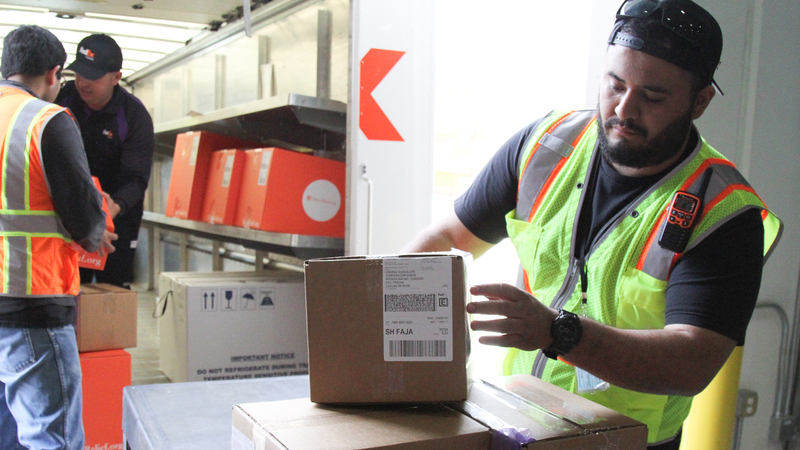 We're preparing to deliver basic medical supplies and medications to #HurricaneHarvey shelters. On Friday afternoon, many of Direct Relief’s healthcare partners had boarded-up windows and were bracing for the storm. Direct Relief is currently on the ground on the Texas Coast, supporting partners in the storm’s path. The supplies that went out Friday are bolstering pre-positioned supplies already in the hands of providers. Direct Relief’s Hurricane Preparedness Program is one that has been refined in the 12 years since Hurricane Katrina devastated the Gulf Coast. Lessons learned from that response, and subsequent hurricanes and storms, have informed the kit over time. At the heart of the program are prepositioned packs that health clinic staff can open in the case of an emergency. The stockpiles of medicines bolster clinics serving their communities, and 11 clinics in the storm’s path currently have prep packs at the ready should they need them for Hurricane Harvey response. Direct Relief reached out 58 clinics in the storm’s path and has made emergency inventory available. Direct Relief is in contact with the Texas Community of Health Centers and will continue to respond to the storm’s impact throughout the weekend.